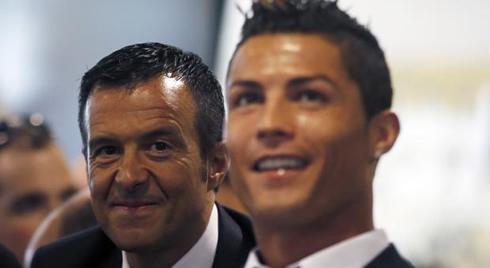 ﻿ Jorge Mendes: "Cristiano Ronaldo will play until he's 40"
28.12.2014 » Jorge Mendes: "Cristiano Ronaldo will play until he's 40"
There is hardly anyone out there who knows Cristiano Ronaldo better than Jorge Mendes. Following the statue unveiling ceremony in Madeira, the Portuguese super agent decided to speak a few words about his "protegé" and surprisingly stated that he can see Ronaldo playing at this level until he turns 40. Over the years, we've seen plenty of examples of career longevity in football. We all remember the likes of AC Milan's Paolo Maldini (retired at 41), Inter Milan's Javier Zanetti (retired at 40) or Manchester United's legend Ryan Giggs (retired at 40), not only for what they've accomplished on the field, but also for how long they've been able to play at the highest level. With that in mind and knowing how much has already been said about Cristiano Ronaldo's physical prowess, how likely is it that we will have the opportunity to see the Real Madrid forward reaching such astonishing heights? In an interview granted to "Globo Esporte" from Brazil, Jorge Mendes dug into the issue and expressed his belief that Ronaldo won't be ending his career before he celebrates his 40th anniversary. Often touted as the most powerful man in football, Jorge Mendes is not only famous for being Cristiano Ronaldo agent, but also for managing the careers of several other illustrious names in this sport, from a long list headlined by Chelsea's José Mourinho and Diego Costa, Manchester United's Radamel Falcao and Angel Di María, and Real Madrid's James Rodríguez. 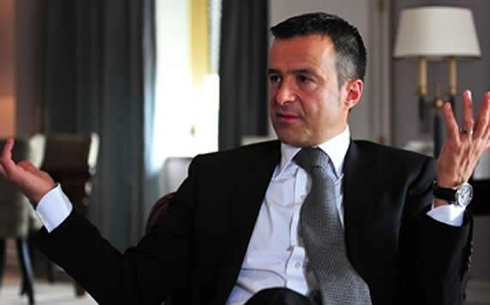 Born in Lisbon in 1966, Jorge Mendes is said to have had some quite humble beginnings. Since he met Cristiano Ronaldo back in the year of 2003, he almost immediately became one of his best friends and someone whom the Portuguese superstar seems to have always blindly trust in the past decade. Jorge Mendes: "In my opinion, Cristiano Ronaldo is not only the best football player of all-time, but he's also the best athlete gracing this sport. I don't think we'll ever have the chance to see someone else like him in the future. It's almost impossible... He has really established a huge difference between himself and the rest of the competition", started by pointing out the Portuguese businessman. 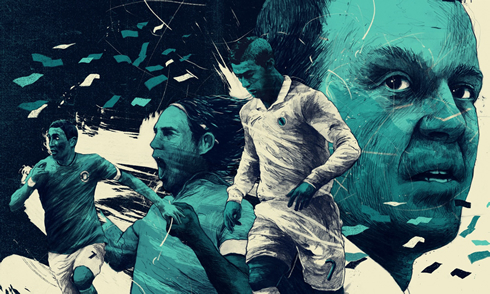 From Mendes's pespective, Ronaldo has also been one of the main catalysts for the transformation that Real Madrid has gone through in the past years. The GestiFute owner remarked that even though the Merengues have always been a powerhouse both in Spain and in Europe, when Ronaldo got transferred from Manchester United to Real Madrid in the summer of 2009, it was Barcelona who were still dominating the sport pretty much in every aspect of the game. Jorge Mendes: "It's true that Ronaldo is now playing in a really talented team, but if we pay attention to what happened, we realize that he was the main responsible for the big changes that started taking place in Real Madrid. Before his arrival to Spain, Barcelona was the club everyone admired the most and that was rated the best team in the world. That has changed now however, and Cristiano Ronaldo has played a very important role in the whole chain of events that led to where we are today..."
Jorge Mendes: "I can proudly say that I know Ronaldo quite well and I'm perfectly aware that if someone asks him now about how many years he still thinks he has left, he'll probably answer 3 to 5 years. However, I firmly believe that he won't be retiring before he turns 40 and he'll be playing at a very high level during the whole time", commented the 48-year old football agent, who also admitted that we may end up seeing Ronaldo getting involved with the movie business after he hangs up his boots. Cristiano Ronaldo next game will be a friendly international against AC Milan in Dubai, scheduled for next Tuesday, the 30th of December. You can watch Juventus live stream, Real Madrid vs Milan, Liverpool vs Swansea, Stoke City vs Manchester United, Tottenham vs Chelsea, and Southampton vs Arsenal, all matches provided from our live streaming section.